Sounding Out! Podcast Episode #4: Within a Grain of Sand | Sounding Out! Today’s entry in the Sounding Out! podcast series is a collection of interviews with sound artists from around the world. Compiled by Maile Colbert, these interviews show as much as they tell, often featuring the artists speaking in tandem with a recorded soundscape. At other moments, however; the soundscapes take on a life of their own as the artist pauses and the sonic landscape breathes. Although Maile had discussed some of these artists’ work previously in a blog post for Sounding Out! Within a Grain of Sand, this recording seeks to investigate their work in a unique and true-to-form manner. So, listen and learn – about the practice of creating sound art. Jen Boyd is a sound artist living in Northern CA. She spends time recording sounds in her environment and then arranges them into layered soundscapes. 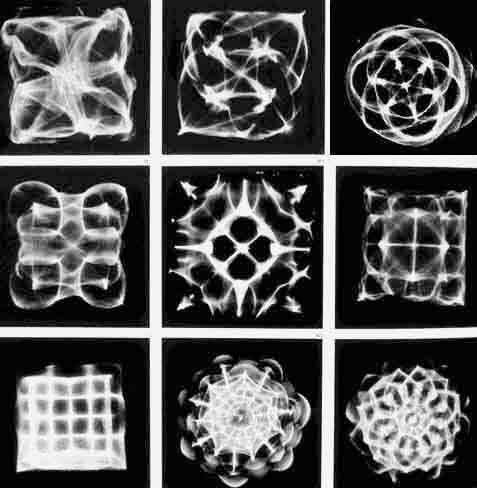 In these pieces, some sounds unfold naturally while others are processed. Although her work mostly relies on ‘natural’ sounds she uses a wide variety of sound sources to paint sonic pictures for the listener. Jen hopes to spark the interest in people of all ages to listen more closely to the environment they live in everyday. If you listen, you can hear some of her recordings on touchradio.org. Eric Leonardson is a Chicago-based composer, radio artist, sound designer, instrument inventor, improvisor, visual artist, and teacher. He has devoted a majority of his professional career to unorthodox approaches to sound and its instrumentation with a broad understanding of texture, atmosphere and microtones. If you are interested in learning more about Eric and his project, the World Listening Project, click this link. Rui Costa is a sound artist from Lisbon, Portugal. He has been publicly presenting his work since 1998. He is a founding member and artistic director of Binaural. He has performed in many venues and sound art festivals in Portugal, Spain, Italy and the United States. Maile Colbert is an intermedia artist with a concentration on sound and video, relocated from Los Angeles and living and working between New York and Lisbon, Portugal, and teaching at Faculdade de Belas Artes da Universidade do Porto. She spent the last two years collaborating with the art organization Binaural, and is currently director of Cross the Pond, an organization based on arts and cultural exchange between the U.S. and Portugal. She holds a BFA in The Studio for Interrelated Media from Massachusetts College of Art, and MFA in Integrated Media/Film and Video from the California Institute of the Arts. She is currently in production on an interdisciplinary experimental opera based on Portuguese Maritime history, and will release two albums this year.